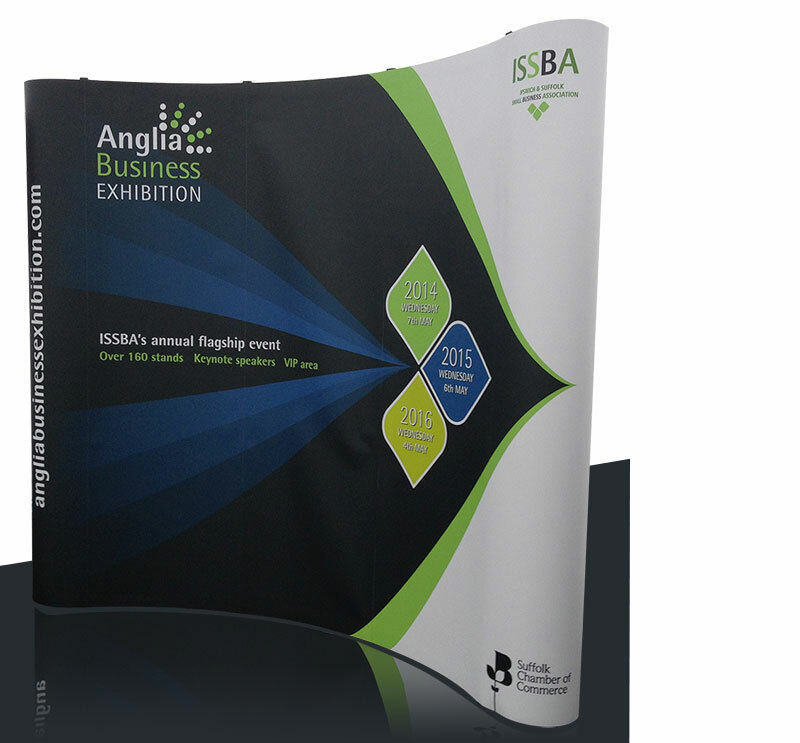 Developing the Anglia Business Exhibition Brand was a great project to do as it needed to be used across a vast array of media. Some of the materials are shown here – but more were created. We hope this will give you an example of how flexibility can give a brand life and variety, and shows how a brand can grow. The brief was to create a simple clear logo that would move the Suffolk Business Exhibition forward to include the whole of East Anglia. The core values of the logo were to show people meeting in one place, exhibition concept, focal point and to be business orientated. The logo design began with sketches and several ideas produced in Illustrator. The winning design was worked on further, elements added and then removed, then tweaked and refined. The four page business card was created to last three years and early in the brand’s development, a Sponsors brochure was designed and printed, and Powerpoint backgrounds created. 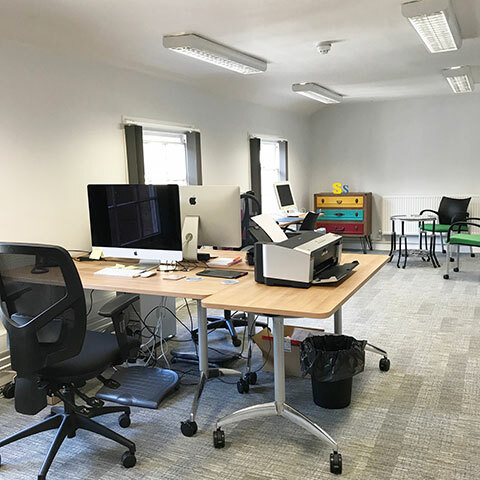 Working in partnership with Free Rein, a website design was created and planned for Responsive output. The brand was simplified in order for best display on mobile and tablet, but leaf shapes colours and fonts were all kept within brand guidelines. A press advert in tall format similar to the right hand side of this A4 ad, the narrowness of the advert caused a design problem which was overcome by the leaves breaking out of the dark blue background. Reversal of the logo used on this brochure cover keeps the brand recognisable and the use of the three leaves adds consistency. A bit of fun was used making the leaves appear to fly along to the exhibition. 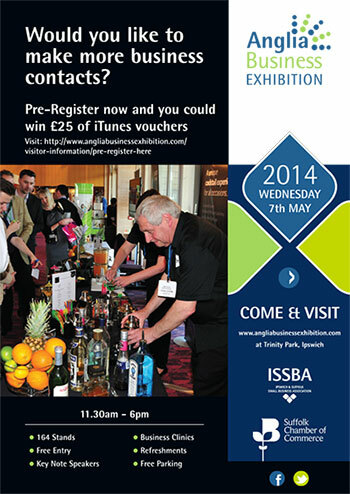 Such a large exhibition stand can use a bit of drama! Reinforcing the brand on the day of the exhibition with the flying leaves and the message for the next three years is shown in its trail. So what is a Brand? A Logo? An Identity? The Anglia Exhibition Brand is a great example of visual materials as part of a brand identity, below we explain in brief what each of these terms mean. A logo should be memorable and be able to be used on all kinds of media, not be lost among too much information or complex background. It is to identify the company or product, used on its own, it will represent the company in its simplest form. 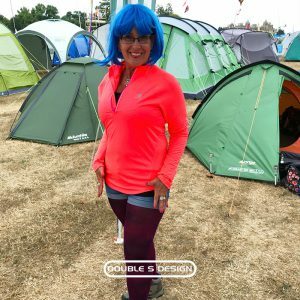 An identity needs to be flexible in order for interest to be maintained yet displaying its core values: colours, fonts, shapes, secondary graphic devices and written copy. The beginning of a brand identity then emerges as a memorable visual set of cues that act in partnership with the logo. The brand is the emotional feel of the combined logo and identity, the visual and subliminal message that the logo and identity gives to the public. When you think about your brand, treat it with great attention, think about the lifespan of your logo. If you change it too radically too often people will get confused and think you have a different company. Therefore your logo needs to reflect your company ethos and product before you brief a designer, then your brand will develop easily. 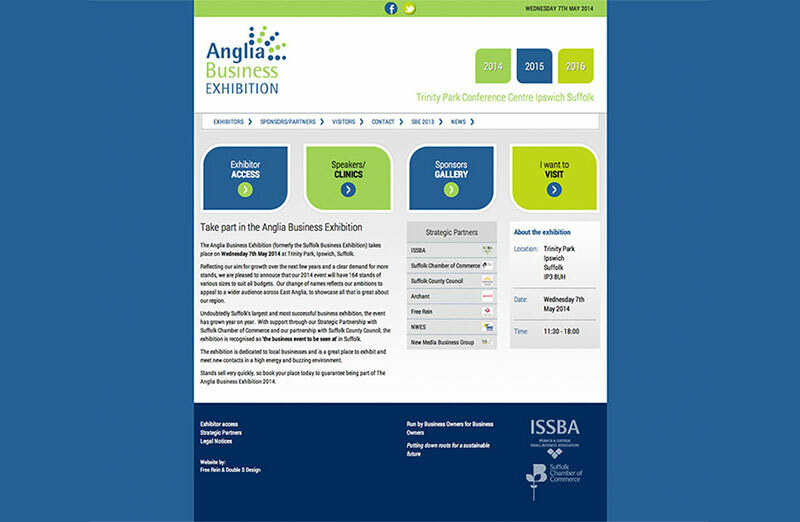 2 Pings/Trackbacks for "Anglia Business Exhibition Brand"